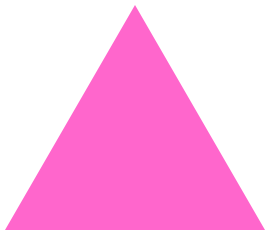 It is a misreading of history to suggest that the Fascists generally, and Hitler most particularly, were necessarily anti-homosexual. In truth, Hitler was indifferent to homosexuals. I recommend the reader to have a look at a great book on the subject of Hitler–The Rise and Fall of the Third Reich by William L. Shirer–likely the seminal work– as Mr. Shirer was reporting on the rise of Hitler all through the 20’s for the New York Times and also reported on the war crimes trials after the War. Some years after the War ended, Mr. Shirer had official, and exclusive, access to original Nazi documents captured by the Americans when they invaded the Continent. Shrier observes that virtually all the leaders of the Brown Shirt roughs, and many of their rank and file, without whom Hitler would never have been made Chancellor, were homosexual. Hitler knew this and did not care. The reckoning day for the leadership of the roughs came after Hitler no longer needed them and, while they were all on a holiday with young boys in a lakeside hotel, they were rounded up and shot outside. Shot, not for being homosexual, shot because they were no longer needed by Hitler. Hitler, like all successful politicians, used certain groups to get what he wanted and then discarded them.